Molokini Aerial Molokini is a fish and coral sanctuary protected under federal law. Molokini is a fish and coral sanctuary protected under federal law. It is being watched over by Mount Haleakalā in the background. This image represents protection with a higher being always watching over us. In Hawaiian legend, Molokini was a beautiful woman. She and Pele, the fire goddess, were in love with the same man. The jealous Pele cut her rival in two and transformed her into stone. The woman’s head is supposedly Pu'u Olai, the cinder cone by Makena Beach. This image also represents that no matter who we are or what we do in our life it takes all of us to create the whole picture. 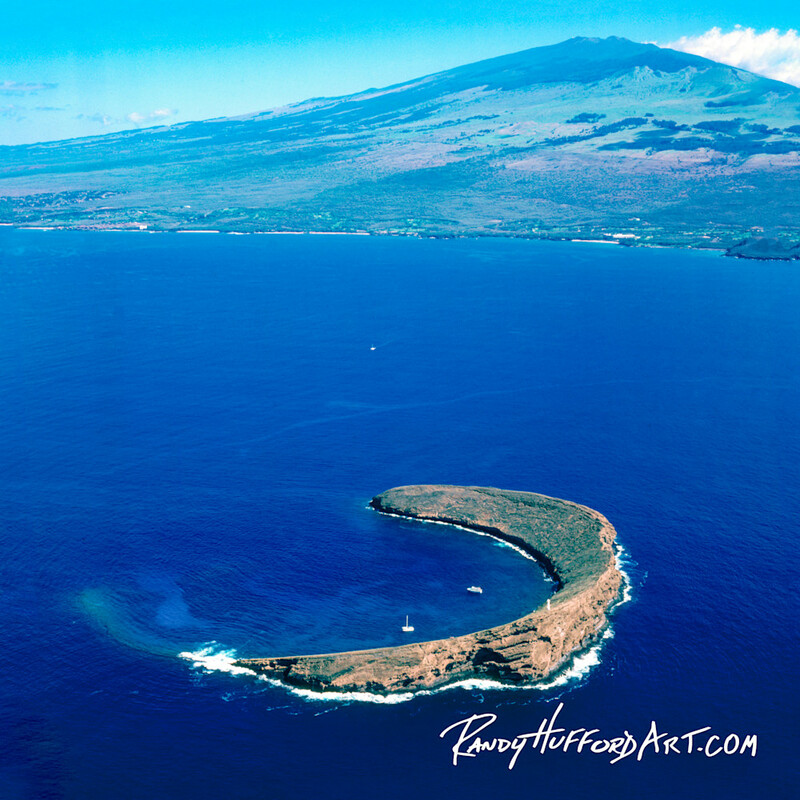 The aerial view of Molokini.